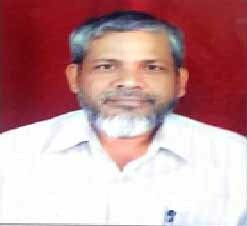 1 Mr. Raizuddin Alom M. Phil "Mustafa Lutfi al-Manfaluti: An essayist"
2 Md. Mushahid M. Phil "Development of Arabic studies in Orissa"
3 Noor Alam M. Phil "Istaadatu al-zaman al-mafqood" wa"Min Beirut ila Hadramaut : A comparative Study"
4 Jaffar K.P. M. Phil "Arabic Journalism in south India: origin and development"
5 Salman P. M. Phil "Al Hasad wa fi Qafilatu al zaman (two novels of Abdul Hameed Jawdah al Sahhar"
6 Jahirul Islam M. Phil "Social issues in the essays of Saif Al Rahbi"
7 Syed Mohammed al Husseini M. Phil "Al Shair wa al Fadilah : An Analytical study"
8 Mohammed Husain M. Phil "T.S. Elliot and Badr Shakir al Sayyab: A comparative study"
9 Zubair PM M. Phil " Realism in Al Ardh of Abdel Rahman al Sharqawi and The Old Man and the Sea of Ernest Hemingway: Acomparative Study"
10 Nisamuddin C M. Phil Muhammad Shukri in the light of his novel ‘ Al Khubz al hafi: An analytical Study"
11 Salman P Ph. D Historical novels of Abdul Hamid Jawdah Al Sahhar: A critical Study"
12 Noor Alam Ph. D "Autobiographic Writing in Yemen: Origin and development"
13 Md. Moshahid Ph. D " Arab World as Reflected in the post Independent Indian Travelogues"
14 Md. Jahirul Islam Ph. D " Portrait of woman in Ahlam Mustaghanmi and D.H. Lawrence: Comparative Investigation"
15 Mohammed Husain Ph. D "The artistic and thematic elements in T.S. Eliot and a host of Iraqi poets : An investigation"
16 Hafiz Syed Mohammed Hussaini Ph. D " Contribution of Yousuf Al- Azm to the Child literature: An Analytical study"
17 Sabir Navas C.M Ph. D "Development of Novel writing in Arabic Literature: A case study of United Arab Emirates"
18 Subair P.M. Ph. D " Elements of Feminism in the writings of Aisha Abdur Rahman and Leila Aboulela: A critical comparison"
19 Mohammed Maher Ali Al Quzahi ( waiting for viva) Ph. D "Male chauvinism in the contemporary Yemeni novels: A selective study"
20 Salim Akhter ( waiting for viva) Ph. D "Thematic and Artistic elements of Mahmoud Darwish and kalim Ajiz"
21 Muhammed Sharif M ( waiting for viva) Ph. D " The Role of Al Arabi Magazine of Kuwait in the promotion of Arabic literature and culture during 1990-2015: An analytical Study"
22 Dipankar Kundu (waiting for viva) Ph. D " Development of Novel Writing in Arabic: A case Study based on Tunisia"
1 Shafeeq CP ( Ph. D ) "Elements of satire in Modern Egyptian Prose: A selective Study"